This 'Silicon Valley' App Really Can Tell Hotdogs From Not HotdogsWarning, the following contains some plot spoilers from HBO's Silicon Valley season 4 episode 4. As far as hilarious subplots in Silicon Valley go, the whole build-up and reveal with Jian-Yang's app has to be one of my favourite things of all time. 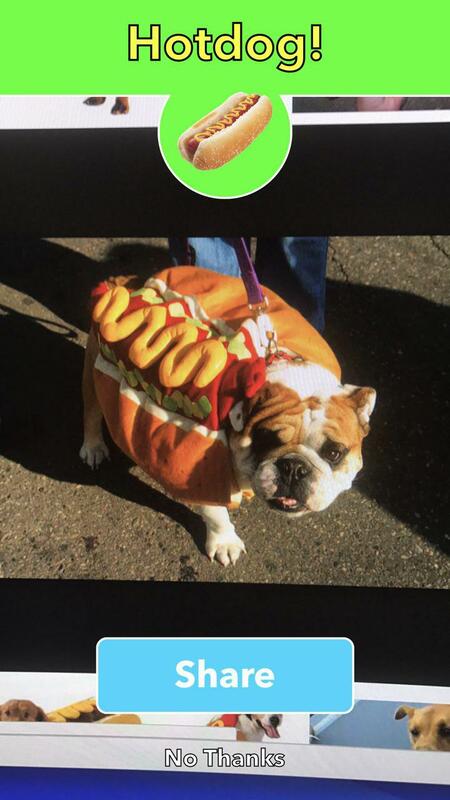 How HBO's Silicon Valley built "Not Hotdog" with mobile TensorFlow, Keras & React NativeThe HBO show Silicon Valley released a real AI app that identifies hotdogs - and not hotdogs - like the one shown on season 4's 4th episode (the app is now available on Android as well as iOS!) To achieve this, we designed a bespoke neural architecture that runs directly on your phone, and trained it with Tensorflow, Keras & Nvidia GPUs. The hot dog-identifying app from HBO's Silicon Valley is real, and you can download it nowTonight's episode of HBO's Silicon Valley saw a new twist in the drama from last week over a "Shazam for food" app. Spoilers ahead if you have not seen episodes 3 and 4 of season 4. Would you recommend Not Hotdog to a friend? While this app may not be the most #disruptive app on my iPhone, I love that the HBO team took the effort to actually build the app depicted in the show. And it works. Not Hotdog may not be homescreen-worthy but it's a fun joke that illustrates the increasing influence of tech on culture and the media industry (and visa versa). The most profound piece of innovation of our times. What would you say if I told you there is an app on the market that tell you if you have a hotdog or not a hotdog. It is very good and I don't want to work on it any more. You can hire someone else. @jian_yang1 take all of my money! Do you need a place to live? @jian_yang1 I'll give you a place to live for 10% equity. @tomthecarrot Ohhhh! Now we're talking!